LONDON and CUPERTINO, California - November 16, 2010 - Apple Corps, EMI and Apple® today announced that the Beatles, the most influential and beloved rock band in music history, are now available for the first time on the iTunes Store® (www.itunes.com). Starting today, the group’s 13 legendary remastered studio albums with iTunes LPs, the two-volume “Past Masters” compilation and the classic “Red” and “Blue” collections are available for purchase and download on iTunes® worldwide as either albums or individual songs. Fans can also get a special digital “Beatles Box Set” featuring the “Live at the Washington Coliseum, 1964” concert film, a worldwide iTunes exclusive which captures the Beatles’ very first US concert. 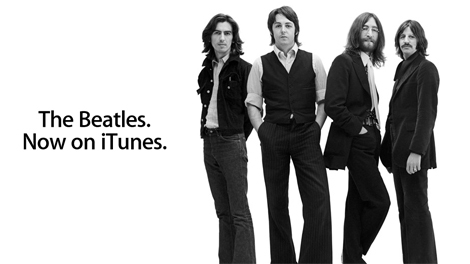 (ABC News) "Beatles Collection Finally Joins iTunes": Beatles fans, your wait is over. 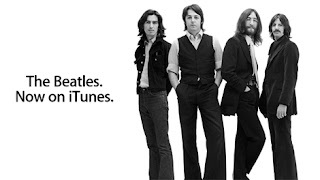 After years of holding out, the legendary rock band finally struck a deal with Apple to bring the Beatles' music to iTunes.